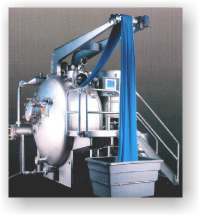 Gaston County developed the industry's first jet dyeing machine in 1961. 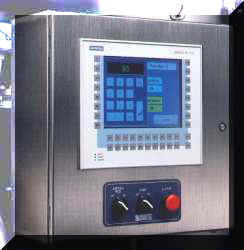 And our continuing reputation for innovative design is primarily responsible for the widespread acceptance Gaston County's current family of jet piece dyeing machines has received. 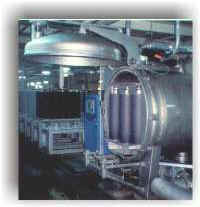 Since 1921, we've been responsible for many of the advancements made in package, beam, and raw stock dyeing. Whether dyeing yarn on beams or packages, fabric on beams, hosiery products or raw fiber stock, Gaston County has the machine to meet your requirements. Introducing the Millennium Dyeing System, an optimized approach to dyeing that can increase your rounds per day. Gaston County is able to furnish a full spectrum of process control systems. 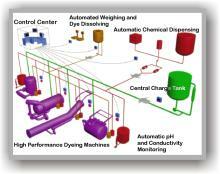 These range from simple, stand-alone, single machine controllers to a unified comprehensive dyehouse management system, providing for both the control of the dyeing process and management of all associated production and service functions. In addition to full-scale production machines, Gaston County offers scaled-down counterparts for special uses. 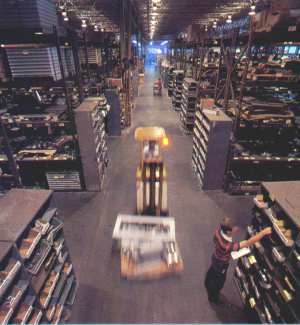 A million dollar, computer-monitored inventory of mechanical and electronic parts, plus an experienced staff of parts specialists, assure quick deliveries.